BOOK AN APARTMENT AT CAP OUEST NOW! This new & exciting property extends over 2 acres, taking full advantage of the idyllic conditions of one of the best beaches in the west. It is just a short walk away from the buzz of Flic en Flac with its restaurants & nightlife on offer. There are many ways to enjoy what this amazing beachfront with in house reef has to offer & Cap Ouest lets you do so in style. Sea facing with spectacular views & a pool facing the beach. 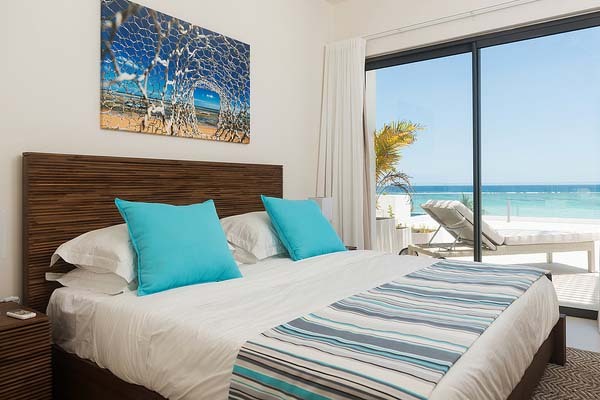 Cap Ouest beachfront apartments are ideal for those dreaming of stepping out directly onto a sandy beach. Each apartment has either 2 or 3 bedrooms, and enjoys an idyllic view over the turquoise lagoon. 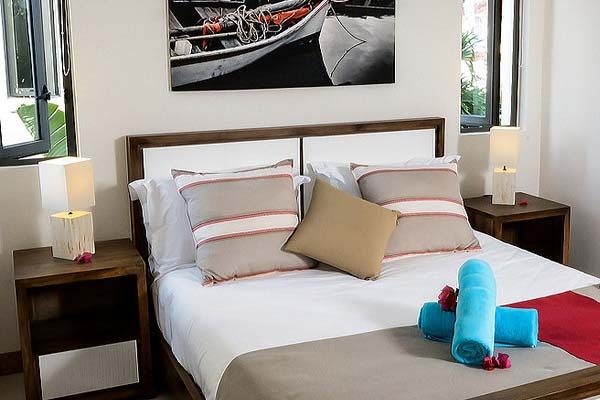 The bedrooms together with the open plan living and outdoor terrace make for a pure beachfront living experience. As there are limited beachfront apartments we highly recommend that these are booked well in advance to avoid disappointment. The epitome of beachfront luxury, the penthouse boasts a range of advantages. From the exceptional panoramic views to its private plunge pool, this range of apartments is fit for any 5 star travellers. 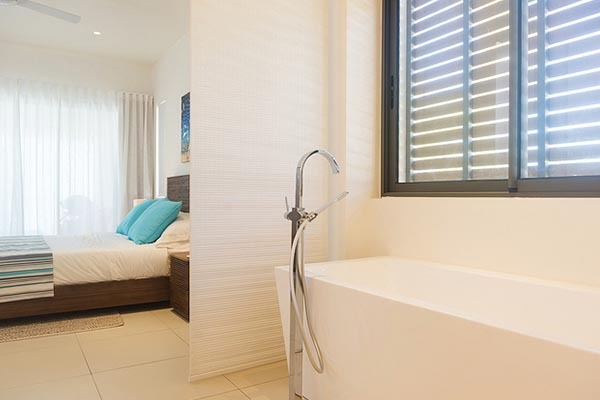 The penthouse has 2 en-suite bedrooms and has been equipped with high quality finishes and beautiful interiors. The wrap-around glass balcony gives the penthouse both a clean and modern feel as well ensuring they are safe for small children. Resort Manager on site, Webber BBQ in each apartment, Cooler box (for the beach).